Uneventful flight. Beautiful weather: high’s low 70’s, partly cloudy skies. 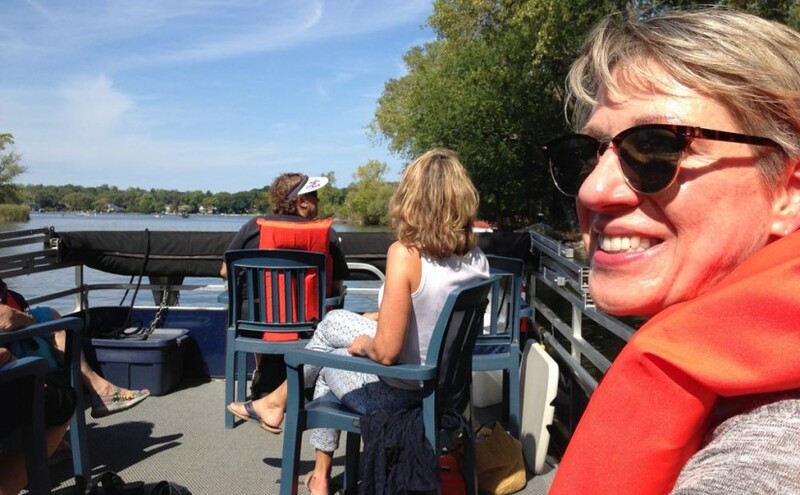 Pontoon boat ride and lunch with Berni and Michael yesterday. Got photos on iPhone but laptop gets stuck uploading them. Learned some common plants in bloom now by visiting UW Arboretum briefly with June on bike ride and meeting a volunteer collecting seeds. Why do I care about the commentor’s website? Since turning on newsletter comments at the FSC website, every comment has been “click bait,” meaning no meaningful comments, only encouragement to post a link to the correspondent’s website.